Those are not just sayings. They are reality. 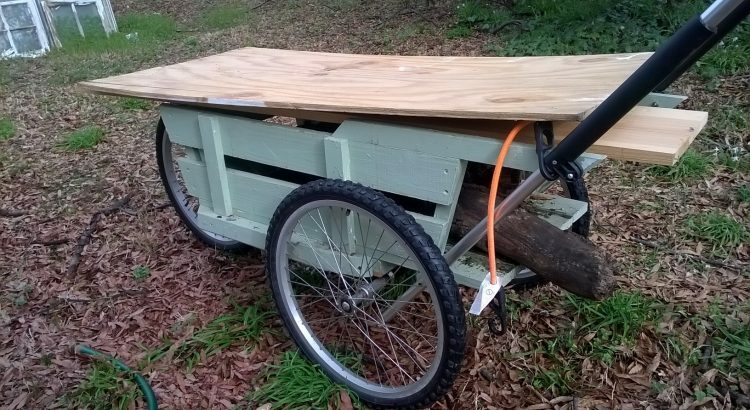 The garden wagon, inspired by my need for a more efficient grand kid and home and garden transport, became the inspiration for this website, RecycleUses.com. It was a home run (ok, no more platitudes) but seriously, it is one of the best designs and products I have ever come up with. Whether I am moving heavy objects a few feet or much more, it travels almost effortlessly. And it has held up. With its big wheels and higher walls, it puts the traditional little red wagon to shame. And the big wheel barrow.